Please note: Please do not buy the crystal ball of the "Take Your Discount" shop. They sell their merchandise on this page without the authorization of our brand, they are fakes. Please look for the crystal ball of the "MerryNine" brand store. As this product is undergoing an upgrade, if you want to buy this product, please buy the one that is named "80mm/3.15", Clear" in the variant, you can also search the product ID B07BXV7YGH in Amazon search bar. Please confirm the MerryNine trademark and store. We have not authorized any other seller to sell our professional products. 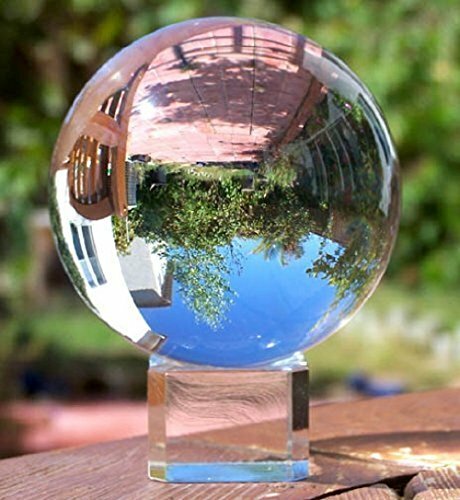 Our photo crystal ball is made of top materials and special crafts. The right to purchase this product will not be guaranteed by any other channel.